Hello everyone, and welcome to October! I know, I think it's insane how suddenly it jumped from July to October. However, there is one perk to the cooling months - layering! As a young individual invested in personal style, I view layering as one of the best tricks to producing a creative and fun outfit. I've been attempting to make more useful lists like this for my blog, as I always appreciate seeing such posts on other sites. For today, I'm sharing three simple ways I've used layering to come up with a fresh and more interesting look over the years. However, I feel like I have to put a disclaimer up right now and inform you that if you're searching for a layering guru, check out Marlen's blog, Messages on a Napkin. Girl's a master at coming up with fresh ideas for layering. These are handy tricks to use when you've got a mini dress that you want to transition to day or just make more comfortable in general. It's a quick and easy way to fix a hemline problem. Depending on the fit of your dress, decide whether a skirt on top or beneath would make for a more streamlined fit. My recommendation? Invest in a simple, black circle skirt. 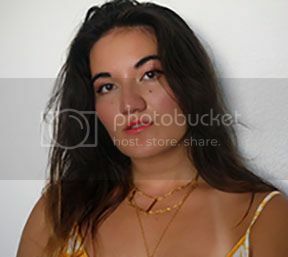 I'm using the same one in both of these photos, and have found it to be a staple piece for many outfits. See how perfectly that leopard print goes with the tan sweater? There are so many combinations you can make with your tops! For a more colorful punch, try combining two bold shades. It's all about the fit of your material - it's best to wear the looser piece on top, as this will best prevent the most amount of awkward lumpiness. It's pretty obvious which one's my favorite layering trick, right? Haha, it's too easy to transform a dress into a skirt simply by throwing a top over it! You can add a new color, incorporate print mixing, or just tone down a busy dress by carefully choosing a complementary top. Hope this short little list helped and inspired! 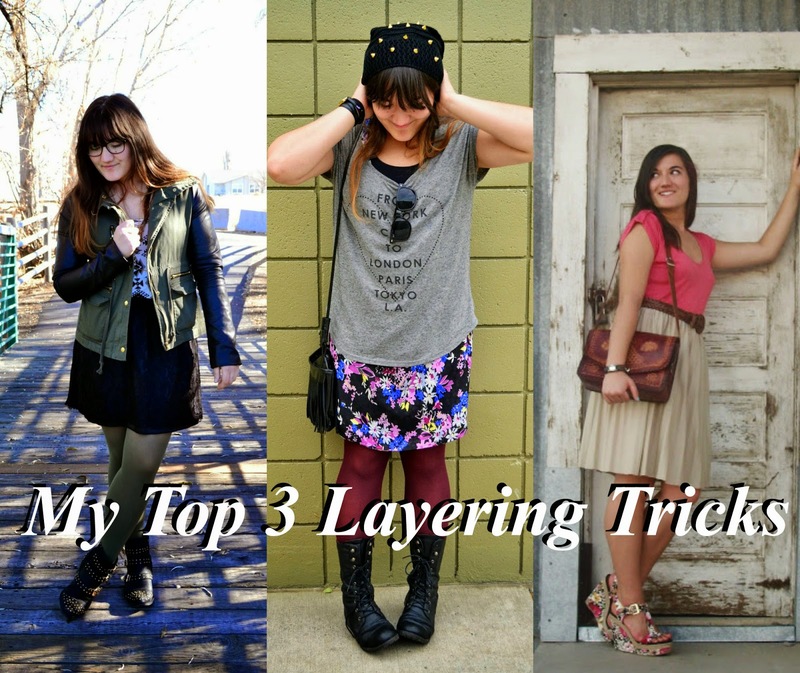 What are some of your favorite layering tricks? Nice, thanks for sharing, hun! Great tips! They will help us all transition into the colder weather. Nice tips for fall, and especially with winter coming!!! you look good in those outfits. These are such great tips! I always see posts like this, but they never have anything new. I like that these are things I actually haven't tried yet, and I really want to! Especially the long skirt under a short skirt. Genius! These are all such great advice! I definitely will be layering a lot this Fall! oh, time is running like an express train and it's a bit terrifying! I even can't believe the summer is over, it has gone by so fast and it's October already. That idea to layer a skirt under a short dress is awesome, I would try to try this out for sure. All your outfits are great! Besides, those snapshots are so lovely) Thanks for such an interesting post, Linda. I enjoyed a lot! totally agree! i love layering. sadly it's still too hot here to layer. 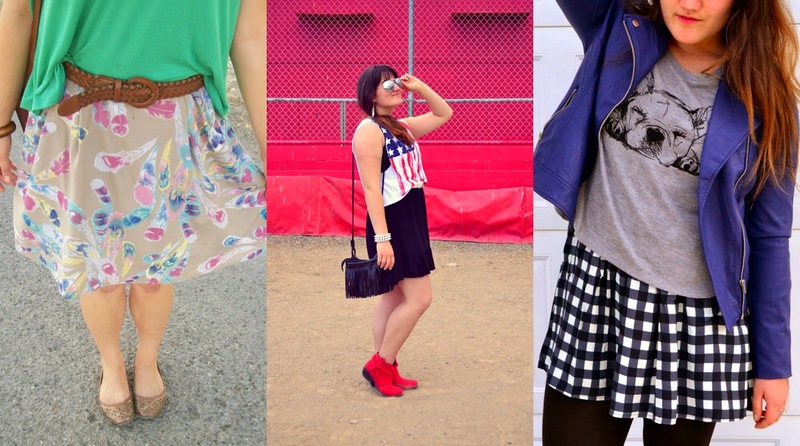 but these are great tips, - layer tops over dresses too. love! So thankful for you and your loyalty. I loved reading those nice comments you left on two of my "welcome back" posts. I am so raring to go now cuz I feel so great FINALLY! Your layering has inspired me more than you know. I am always thinking of "what can I layer this with?" YOU were my mentor for thus! Amazing tips! You look gorgeous in all your outfits, especially the second one! I love wearing tops and jumpers over dresses, my favourite kind of layering! Oh man, how is it october already? I'm not ready! Your tip about a plain black circle skirt is spot on, i thrifted a wool gap skirt last year and its perfect for those short dresses! Ots fun to see a collective of your outfits, you have so much varity with your style but everything you wear is very "you"